Hold On AMERICA produces a special program for pediatric dental offices called The Toothfairy Hotline. The dental office adds a telephone lilne with its own number that appears in the telephone book as "Toothfairy" or "Toothfairy Hotline." We attach a digital player to the line that asnwers it when it rings and plays the monthly two to three minute long Toothfairy adventure. The "adventures" are customized for each office with name, doctors' names, address, phone number, etc., and, if promoted by the office, can have a significant positive affect on the practice. If you have a pediatric practice and are interested in learning more about The Toothfairy Hotline, visit www.toothfairyhotline.com, IM, call or email us. We'd be delighted to tell you more about it. Hold On AMERICA's MedCOM division produces messages-on-hold for hospitals, clinics, doctor and dental offices from coast to coast and would be proud to add your practice to our roster of communicative MedCOM clients. We have had extensive experience creating programs for almost every discipline from hair removal to cardiac specialties. If you're wondering where to start, we can offer you a plethora of copy ideas culled from twenty-five years experience. 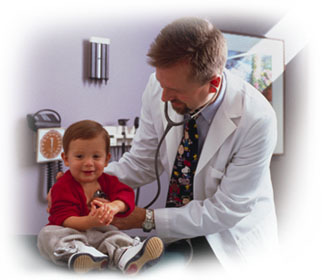 Patient communication must begin with the healthcare provider. The average hospital places callers on hold for an average of two-minutes, thirty-four seconds. The average medical office: 1:18. The average dental office: 1:48. So, Messages-On-Hold are especially important in any medical facility. Give callers important information about insurance and medical plans. Messages-On-Hold are easy to implement in your practice. Just give us a call, fax or e-mail us. From order placement to completed installation usually takes only ten to fourteen days. And this includes writing your custom program from information you supply.